Description : .Pureglare 3D PERCEPTION X30 Basic OEM Replacement Lamp ( Original Philips / Osram Bulb Inside ) 90 Days Warranty. Tags: BON0208, 3D PERCEPTION, 400-0003-00, 400000300, X30 Basic, X30Basic, ""
Description : .Pureglare 3D PERCEPTION PZ30SX OEM Replacement Lamp ( Original Philips / Osram Bulb Inside ) 90 Days Warranty. Tags: BON0208, 3D PERCEPTION, 400-0003-00, 400000300, PZ30SX, PZ30SX, ""
Description : .Pureglare 3D PERCEPTION PZ30X OEM Replacement Lamp ( Original Philips / Osram Bulb Inside ) 90 Days Warranty. Tags: BON0208, 3D PERCEPTION, 400-0003-00, 400000300, PZ30X, PZ30X, ""
Description : .Pureglare 3D PERCEPTION SX 15e OEM Replacement Lamp ( Original Philips / Osram Bulb Inside ) 90 Days Warranty. Tags: BON0208, 3D PERCEPTION, 400-0003-00, 400000300, SX 15e, SX15e, ""
Description : .Pureglare 3D PERCEPTION SX 15i OEM Replacement Lamp ( Original Philips / Osram Bulb Inside ) 90 Days Warranty. Tags: BON0208, 3D PERCEPTION, 400-0003-00, 400000300, SX 15i, SX15i, ""
Description : .Pureglare 3D PERCEPTION SX 25+ OEM Replacement Lamp ( Original Philips / Osram Bulb Inside ) 90 Days Warranty. Tags: BON0208, 3D PERCEPTION, 400-0003-00, 400000300, SX 25+, SX25, ""
Description : .Pureglare 3D PERCEPTION SX 25+I OEM Replacement Lamp ( Original Philips / Osram Bulb Inside ) 90 Days Warranty. Tags: BON0208, 3D PERCEPTION, 400-0003-00, 400000300, SX 25+I, SX25I, ""
Description : .Pureglare 3D PERCEPTION SX 25+E OEM Replacement Lamp ( Original Philips / Osram Bulb Inside ) 90 Days Warranty. Tags: BON0208, 3D PERCEPTION, 400-0003-00, 400000300, SX 25+E, SX25E, ""
Description : .Pureglare 3D PERCEPTION SX 30e OEM Replacement Lamp ( Original Philips / Osram Bulb Inside ) 90 Days Warranty. Tags: BON0208, 3D PERCEPTION, 400-0003-00, 400000300, SX 30e, SX30e, ""
Description : .Pureglare 3D PERCEPTION SX 30i OEM Replacement Lamp ( Original Philips / Osram Bulb Inside ) 90 Days Warranty. Tags: BON0208, 3D PERCEPTION, 400-0003-00, 400000300, SX 30i, SX30i, ""
Description : .Pureglare 3D PERCEPTION X 15e OEM Replacement Lamp ( Original Philips / Osram Bulb Inside ) 90 Days Warranty. Tags: BON0208, 3D PERCEPTION, 400-0003-00, 400000300, X 15e, X15e, ""
Description : .Pureglare 3D PERCEPTION X 15i OEM Replacement Lamp ( Original Philips / Osram Bulb Inside ) 90 Days Warranty. Tags: BON0208, 3D PERCEPTION, 400-0003-00, 400000300, X 15i, X15i, ""
Description : .Pureglare 3D PERCEPTION X 30e OEM Replacement Lamp ( Original Philips / Osram Bulb Inside ) 90 Days Warranty. Tags: BON0208, 3D PERCEPTION, 400-0003-00, 400000300, X 30e, X30e, ""
Description : .Pureglare 3D PERCEPTION X 30i OEM Replacement Lamp ( Original Philips / Osram Bulb Inside ) 90 Days Warranty. Tags: BON0208, 3D PERCEPTION, 400-0003-00, 400000300, X 30i, X30i, ""
Description : .Pureglare 3D PERCEPTION 003-000884-01 OEM Replacement Lamp ( Original Philips / Osram Bulb Inside ) 90 Days Warranty. Tags: BOP0497, 3D PERCEPTION, 003-000884-01, 00300088401, ""
Description : .Pureglare 3D PERCEPTION SX60 HA OEM Replacement Lamp ( Original Philips / Osram Bulb Inside ) 90 Days Warranty. Tags: BOP0497, 3D PERCEPTION, 003-000884-01, 00300088401, SX60 HA, SX60HA, ""
Description : .Pureglare 3D PERCEPTION SX30 Basic OEM Replacement Lamp ( Original Philips / Osram Bulb Inside ) 90 Days Warranty. Tags: BON0208, 3D PERCEPTION, 400-0003-00, 400000300, SX30 Basic, SX30Basic, ""
Description : .Pureglare 3D PERCEPTION 400-0003-00 OEM Replacement Lamp ( Original Philips / Osram Bulb Inside ) 90 Days Warranty. Tags: BON0208, 3D PERCEPTION, 400-0003-00, 400000300, ""
Description : .Pureglare Projector Lamp Module for 3D PERCEPTION SX30 Basic 150 Days Warranty. Tags: BN00208, 3D PERCEPTION, 400-0003-00, 400000300, SX30 Basic, SX30Basic, 32085106703-02, ""
Description : .Pureglare Projector Lamp Module for 3D PERCEPTION X30 Basic 150 Days Warranty. Tags: BN00208, 3D PERCEPTION, 400-0003-00, 400000300, X30 Basic, X30Basic, 32085206703-02, ""
Description : .Pureglare Projector Lamp Module for 3D PERCEPTION PZ30SX 150 Days Warranty. Tags: BN00208, 3D PERCEPTION, 400-0003-00, 400000300, PZ30SX, PZ30SX, 32085306703-02, ""
Description : .Pureglare Projector Lamp Module for 3D PERCEPTION PZ30X 150 Days Warranty. Tags: BN00208, 3D PERCEPTION, 400-0003-00, 400000300, PZ30X, PZ30X, 32085406703-02, ""
Description : .Pureglare Projector Lamp Module for 3D PERCEPTION SX 15e 150 Days Warranty. Tags: BN00208, 3D PERCEPTION, 400-0003-00, 400000300, SX 15e, SX15e, 32085506703-02, ""
Description : .Pureglare Projector Lamp Module for 3D PERCEPTION SX 15i 150 Days Warranty. Tags: BN00208, 3D PERCEPTION, 400-0003-00, 400000300, SX 15i, SX15i, 32085606703-02, ""
Description : .Pureglare Projector Lamp Module for 3D PERCEPTION SX 25+ 150 Days Warranty. Tags: BN00208, 3D PERCEPTION, 400-0003-00, 400000300, SX 25+, SX25, 32085706703-02, ""
Description : .Pureglare Projector Lamp Module for 3D PERCEPTION SX 25+I 150 Days Warranty. Tags: BN00208, 3D PERCEPTION, 400-0003-00, 400000300, SX 25+I, SX25I, 32085806703-02, ""
Description : .Pureglare Projector Lamp Module for 3D PERCEPTION SX 25+E 150 Days Warranty. Tags: BN00208, 3D PERCEPTION, 400-0003-00, 400000300, SX 25+E, SX25E, 32085906703-02, ""
Description : .Pureglare Projector Lamp Module for 3D PERCEPTION SX 30e 150 Days Warranty. Tags: BN00208, 3D PERCEPTION, 400-0003-00, 400000300, SX 30e, SX30e, 32085006713-02, ""
Description : .Pureglare Projector Lamp Module for 3D PERCEPTION SX 30i 150 Days Warranty. Tags: BN00208, 3D PERCEPTION, 400-0003-00, 400000300, SX 30i, SX30i, 32085106713-02, ""
Description : .Pureglare Projector Lamp Module for 3D PERCEPTION X 15e 150 Days Warranty. Tags: BN00208, 3D PERCEPTION, 400-0003-00, 400000300, X 15e, X15e, 32085206713-02, ""
Description : .Pureglare Projector Lamp Module for 3D PERCEPTION X 15i 150 Days Warranty. Tags: BN00208, 3D PERCEPTION, 400-0003-00, 400000300, X 15i, X15i, 32085306713-02, ""
Description : .Pureglare Projector Lamp Module for 3D PERCEPTION X 30e 150 Days Warranty. Tags: BN00208, 3D PERCEPTION, 400-0003-00, 400000300, X 30e, X30e, 32085406713-02, ""
Description : .Pureglare Projector Lamp Module for 3D PERCEPTION X 30i 150 Days Warranty. Tags: BN00208, 3D PERCEPTION, 400-0003-00, 400000300, X 30i, X30i, 32085506713-02, ""
Description : .Pureglare Projector Lamp Module for 3D PERCEPTION 003-000884-01 150 Days Warranty. Tags: BP00497, 3D PERCEPTION, 003-000884-01, 00300088401, 0984374, ""
Description : .Pureglare Projector Lamp Module for 3D PERCEPTION SX60 HA 150 Days Warranty. 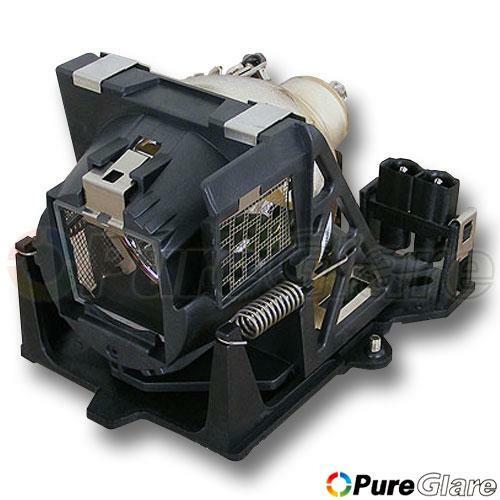 Tags: BP00497, 3D PERCEPTION, 003-000884-01, 00300088401, SX60 HA, SX60HA, 0D2CF9D, ""
Description : .Pureglare Projector Lamp Module for 3D PERCEPTION 400-0003-00 150 Days Warranty. Tags: BN00208, 3D PERCEPTION, 400-0003-00, 400000300, 0149884, ""
Description : .To enjoy more specialized painting, you can hardly lack of a professional drawing pen. Our recommendation of this 1.75mm Generation II 3D Arts Stereoscopic Drawing Pen (EU Standard) is especially designed for meeting your such demand. Its highly superiorPC material together with exquisite workmanship greatly ensures the excellent durability of this pen. Ergonomic handle makes the pen comfortable to hold and easy to control. Thanks to its outstanding 3D technology, this pen guarantees your premium painting effect. You will never feel disappointed!. Description : .How to enhance visibility on the rainy days, foggy days, dim light situations or in the night when youâ€™re driving? Obviously, this HJ 9006 8W 700LM 6000-6500K 1 x 3D LED White Light Bulb for Car Fog Light (12-24V) will be a necessity for you. The car fog light adopts the advanced 3D LED to provide you with high brightness but soft light. It supports 12-24V wide voltage to guarantee high stability. Equipped with atransparent acrylic lampshade, the light brings stronger light permeability. The best choice to make night driving a breeze!. Description : .The Bluedio BS-3 Portable Wireless Bluetooth Speaker Home Theater Party Speaker Sound System 3D Stereo Music is equipped with innovative 3-magnet drivers to play your favorite tunes out loud in clear audio. Great portability suits your mobile lifestyle. Just tuck it into your bag and go. When 3D sound is turned on, the stereo stage is extended for a fuller sound. The Bluetooth works flawlessly with your smartphone, tablet or Bluetooth enabled MP3 player. Donâ€²t hesitate to order now!. Description : .Almostevery kid has a flying dream. Why not buy your kid this 2701 DIY SU-33KUB Airplane Shape 3D Tridimensional Intelligent Paper Puzzle Toy which is a revolutionary tool for learning and fun? I believe it will make him or her dance with joy!Our 3D puzzle toyallows your kid to have an enjoyable and educational experience when he or she is playing. More than a toy to have fun, it cares more about your kidâ€™s healthy growth and intelligent development. By assembling thisairplane puzzle toy, your kid will make great progress in coordination of hands and brain as well as physical and mental development. It is very easy to assemble. You can also use it as a distinctive decoration and amazing artwork for office or home. Laying a good foundation for your kidâ€™s healthy growth starts from this amazing 3D puzzle toy!. Description : .The BOBOVR Z2 Virtual Reality VR Headmount Helmet 3D Glasses makes virtual reality possible and available for every one! Though in a compact wearable design, it simulates viewing distance to offer an incredible 3D movie experience. Fully enclosed design provides you a private view. With soft foam padding and flexible headband, it is comfortable to wear for a long time. High-grade lenses feature no dizziness or visual fatigue. And it is big enough to fit cellphones sized 4.0 to 6.0". So, what are you waiting for? Click and get one right now!". Description : .How to enhance visibility on the rainy days, foggy days, dim light situations or in the night when youâ€™re driving? Obviously, this HJ H11 8W 700LM 6000-6500K 1 x 3D LED White Light Bulb for Car Fog Light (12-24V) will be a necessity for you. The car fog light adopts the advanced 3D LED to provide you with high brightness but soft light. It supports 12-24V wide voltage to guarantee high stability. Equipped with a transparent acrylic lampshade, the light brings stronger light permeability. The best choice to make night driving a breeze!. Description : .Much smaller than the generation II, this Generation III 3D Arts Stereoscopic Drawing Pen (UK Standard) will bring you much more comfort and easy operation. Cylindrical design supports 360-degree gripping, uneasy to slip or drop. Its highly superior ABS material together with exquisite workmanship greatly ensures the excellent durability of this pen. Thanks to its outstanding 3D technology, this pen guarantees your premium painting effect. All in all, with brighter color, lighter weight and easier operation, this 3D drawing pen will make you enjoy smooth drawing or writing!. Description : .What you viewing are 3D glasses. The glasses are used for watching 3D movies. This pair of 3D Polarized glasses is comfortable for you to wear. The futuristic look along with the matted frame make the 3D Polarized Glasses a necessary for 3D viewing. You canâ€™t see the future, but you will surely feel part of it with theses brand new 3D anaglyph glasses. These Cheap 3D glasses are made of high quality plastic framed with resin lenses.. Description : .Does your kid have a great interest in puzzle toy and painting? You are so lucky today. This 2610 DIY Cake Shop Shape 3D Tridimensional Intelligent Paper Puzzle Color Painting Toy must be a good gift for the coming Childrenâ€™s Day. It is a revolutionary tool for learning and fun!Our 3D puzzle toyallows your kid to have an enjoyable and educational experience when he or she is playing. More than a toy to have fun, it cares more about your kidâ€™s healthy growth and intelligent development. By assembling this puzzle color paintingtoy, your kid will make great progress in coordination of hands and brain as well as physical and mental development. It is very easy to assemble. You can also use it as a distinctive decoration and amazing artwork for office or home. Furthermore, 6 color pens are included for convenient painting.. Description : .Does your kid have a great interest in puzzle toy and painting? You are so lucky today. This2704 DIY Train Shape 3D Tridimensional Intelligent Paper Puzzle Color Painting Toy Yellow Stripe must be a good gift for the coming Childrenâ€™s Day. It is a revolutionary tool for learning and fun!Our 3D puzzle toyallows your kid to have an enjoyable and educational experience when he or she is playing. More than a toy to have fun, it cares more about your kidâ€™s healthy growth and intelligent development. By assembling this puzzle color paintingtoy, your kid will make great progress in coordination of hands and brain as well as physical and mental development. It is very easy to assemble. You can also use it as a distinctive decoration and amazing artwork for office or home. Furthermore, 6 color pens are included for convenient painting.. Description : .Almostevery kid has a flying dream. Why not buy your kid this 2701 DIY P-40 Warcraft Shape 3D Tridimensional Intelligent Paper Puzzle Toy which is a revolutionary tool for learning and fun? I believe it will make him or her dance with joy!Our 3D puzzle toyallows your kid to have an enjoyable and educational experience when he or she is playing. More than a toy to have fun, it cares more about your kidâ€™s healthy growth and intelligent development. By assembling thiswarcraft puzzle toy, your kid will make great progress in coordination of hands and brain as well as physical and mental development. It is very easy to assemble. You can also use it as a distinctive decoration and amazing artwork for office or home. Laying a good foundation for your kidâ€™s healthy growth starts from this amazing 3D puzzle toy!. Description : .Does your kid have a great interest in puzzle toy and painting? You are so lucky today. This 2610 DIY Coffee House Shape 3D Tridimensional Intelligent Paper Puzzle Color Painting Toy must be a good gift for the coming Childrenâ€™s Day. It is a revolutionary tool for learning and fun!Our 3D puzzle toyallows your kid to have an enjoyable and educational experience when he or she is playing. More than a toy to have fun, it cares more about your kidâ€™s healthy growth and intelligent development. By assembling this puzzle color paintingtoy, your kid will make great progress in coordination of hands and brain as well as physical and mental development. It is very easy to assemble. You can also use it as a distinctive decoration and amazing artwork for office or home. Furthermore, 6 color pens are included for convenient painting.. Description : .How to enhance visibility on the rainy days, foggy days, dim light situations or in the night when youâ€™re driving? Obviously, this set of 2pcs HJ H11 8W 700LM 6000-6500K 1 x 3D LED White Light Bulbs for Car Fog Lights (12-24V) will be a necessity for you. The pair of car fog lights adopts the advanced 3D LED to provide you with high brightness but soft light. It supports 12-24V wide voltage to guarantee high stability. Equipped with transparent acrylic lampshades, the light set brings stronger light permeability. The best choice to make night driving a breeze!. Description : .This is USB 2.0 Virtual 7.1 ch To 3D Audio Sound Card Adapter White. Plug the Sound Adapter into your USB port, and then plug your headphones into the Adapter. The USB Virtual 7.1 Channel Sound Adapter is a highly flexible audio interface which can be used either with desktop or notebook systems.. Description : .How to enhance visibility on the rainy days, foggy days, dim light situations or in the night when youâ€™re driving? Obviously, this set of 2pcs HJ H4 8W 700LM 6000-6500K 1 x 3D LED White Light Bulbs for Car Fog Lights (12-24V) will be a necessity for you. The pair of car fog lights adopts the advanced 3D LED to provide you with high brightness but soft light. It supports 12-24V wide voltage to guarantee high stability. Equipped with transparent acrylic lampshades, the light set brings stronger light permeability. The best choice to make night driving a breeze!. Description : .Does your kid have a great interest in puzzle toy and painting? You are so lucky today. This 2610 DIY Toy Shop Shape 3D Tridimensional Intelligent Paper Puzzle Color Painting Toy must be a good gift for the coming Childrenâ€™s Day. It is a revolutionary tool for learning and fun!Our 3D puzzle toyallows your kid to have an enjoyable and educational experience when he or she is playing. More than a toy to have fun, it cares more about your kidâ€™s healthy growth and intelligent development. By assembling this puzzle color paintingtoy, your kid will make great progress in coordination of hands and brain as well as physical and mental development. It is very easy to assemble. You can also use it as a distinctive decoration and amazing artwork for office or home. Furthermore, 6 color pens are included for convenient painting.. Description : .Say goodbye to traditional printing pen and enjoy your amazing drawing from this 1.75mm 3D Arts Stereoscopic Drawing Printing Pen Blue (EU Standard)! This pen, employing the latest technology, has fully showed its fantastic charm. With non-toxic ABS plastic shell, it ensures absolute safety and durability. Glossy surface will never do harm to your tender skin. Also, its ergonomic design makes this drawing pen comfortable to hold. Pretty wizardly 3D style will make you excited; for it allows you to draw even in the air. Create your personal art from now on!. Description : .How to enhance visibility on the rainy days, foggy days, dim light situations or in the night when youâ€™re driving? Obviously, this set of 2pcs HJ 9006 8W 700LM 6000-6500K 1 x 3D LED White Light Bulbs for Car Fog Lights (12-24V) will be a necessity for you. The pair of car fog lights adopts the advanced 3D LED to provide you with high brightness but soft light. It supports 12-24V wide voltage to guarantee high stability. Equipped with transparent acrylic lampshades, the light set brings stronger light permeability. The best choice to make night driving a breeze!. Description : .Almostevery kid has a flying dream. Why not buy your kid this 2701 DIY F-117 Stealth Fighter Shape 3D Tridimensional Intelligent Paper Puzzle Toy which is a revolutionary tool for learning and fun? I believe it will make him or her dance with joy!Our 3D puzzle toyallows your kid to have an enjoyable and educational experience when he or she is playing. More than a toy to have fun, it cares more about your kidâ€™s healthy growth and intelligent development. By assembling this stealth fighter puzzle toy, your kid will make great progress in coordination of hands and brain as well as physical and mental development. It is very easy to assemble. You can also use it as a distinctive decoration and amazing artwork for office or home. Laying a good foundation for your kidâ€™s healthy growth starts from this amazing 3D puzzle toy!. Description : .How to enhance visibility on the rainy days, foggy days, dim light situations or in the night when youâ€™re driving? Obviously, this HJ 9005 8W 700LM 6000-6500K 1 x 3D LED White Light Bulb for Car Fog Light (12-24V) will be a necessity for you. The car fog light adopts the advanced 3D LED to provide you with high brightness but soft light. It supports 12-24V wide voltage to guarantee high stability. Equipped with a transparent acrylic lampshade, the light brings stronger light permeability. The best choice to make night driving a breeze!. DZ09 1.5 TFT HD Touch Screen MTK6261A Bluetooth Smart Watch with 3D Accelerometer & Pedometer & Sleep Monitor & Anti-lost Black"
Description : .In terms of smart watch, itâ€™s always the sum of the hardware and functions that matters most. Thatâ€™s why we highly recommend you this DZ-09 MTK6261A Bluetooth Smart Watch GSM SIM Card Camera! It has a 1.5 TFT HD touch screen with a 240 x 240 display. Powerful MTK6261A processor ensures its high and stable performance. Inbuilt with 3D accelerometer and pedometer, it keeps track of your daily activities and alerts you when you sit for a long period of time. In the night, this smart watch turns into a sleep monitor and analyzes your sleeping quality. Donâ€™t hesitate to get one now!". Description : .Almostevery kid has a flying dream. Why not buy your kid this 2701 DIY AH-64 Gunship Shape 3D Tridimensional Intelligent Paper Puzzle Toy which is a revolutionary tool for learning and fun? I believe it will make him or her dance with joy!Our 3D puzzle toyallows your kid to have an enjoyable and educational experience when he or she is playing. More than a toy to have fun, it cares more about your kidâ€™s healthy growth and intelligent development. By assembling thisgunship puzzle toy, your kid will make great progress in coordination of hands and brain as well as physical and mental development. It is very easy to assemble. You can also use it as a distinctive decoration and amazing artwork for office or home. Laying a good foundation for your kidâ€™s healthy growth starts from this amazing 3D puzzle toy!. Description : .The SENKAMA VR Virtual Reality 3D Glasses create an exclusive 3D theater just for you, designed to give you an immersive VR experience. It works with Android and iOS cellphones that have a screen between 4.7-5.8 inches. Japanese imported PMMA lens, with 35mm focus provide 120-degree large field of view and a stunning visual effect. Improved lens parameter eliminates dizziness. And it is comfortable to wear whether you are standing, lying down or sitting to watch. Soft foam padding ensures maximum comfort. DonÂ´t hesitate to give a try!. Description : .How to enhance visibility on the rainy days, foggy days, dim light situations or in the night when youâ€™re driving? Obviously, this HJ H4 8W 700LM 6000-6500K 1 x 3D LED White Light Bulb for Car Fog Light (12-24V) will be a necessity for you. The car fog light adopts the advanced 3D LED to provide you with high brightness but soft light. It supports 12-24V wide voltage to guarantee high stability. Equipped with a transparent acrylic lampshade, the light brings stronger light permeability. The best choice to make night driving a breeze!. Description : .How to enhance visibility on the rainy days, foggy days, dim light situations or in the night when youâ€™re driving? Obviously, this HJ P13W 8W 700LM 6000-6500K 1 x 3D LED White Light Bulb for Car Fog Light (12-24V) will be a necessity for you. The car fog light adopts the advanced 3D LED to provide you with high brightness but soft light. It supports 12-24V wide voltage to guarantee high stability. Equipped with a transparent acrylic lampshade, the light brings stronger light permeability. The best choice to make night driving a breeze!. Description : .Get to experience this 2.4G Dual-Receiver FPV Headset 3D Video Virtual Display Glasses Viewer Monitor that comes from the future! Tough with a micro LCD display, it lets you see clear and sharp images with vibrant colors as if you are watching a large screen. You can also hear all the details with inbuilt speaker. Two antennas ensure high performance signal transfer and receiving. With an ergonomic design, it is comfortable for long-term wearing. And it is compatible with a wide range of FPV devices and aircraft. Donâ€™t hesitate to give it a try!. Description : .With uniquely designed 3D water cube patterns, the 3D Transparent Water Cube Pattern 0.15mm Thickened EVA Shower Curtain looks blurry from both sides and thus creates a romantic atmosphere. Made of high-grade EVA material with antimould treatment, the shower curtain works to keep your bathroom free of splashes and accumulated water. Extra thickened material is weighted to keep it in place. And it is easy to clean and durable for long-lasting use. Donâ€™t hesitate to get one now! It surely is worth buying!. DZ09 1.5 TFT HD Touch Screen MTK6261A Bluetooth Smart Watch with 3D Accelerometer & Pedometer & Sleep Monitor & Anti-lost Golden"
Description : .How to enhance visibility on the rainy days, foggy days, dim light situations or in the night when youâ€™re driving? Obviously, this set of 2pcs HJ 9005 8W 700LM 6000-6500K 1 x 3D LED White Light Bulbs for Car Fog Lights (12-24V) will be a necessity for you. The pair of car fog lights adopts the advanced 3D LED to provide you with high brightness but soft light. It supports 12-24V wide voltage to guarantee high stability. Equipped with transparent acrylic lampshades, the light set brings stronger light permeability. The best choice to make night driving a breeze!. Description : .The Super Large EVA Foam Dial Creative 3D Wall Clock features an extra big dial with chic number patterns, offering a fun way to tell time. High-grade EVA foam dial is easy to apply or remove without damaging the wall surface. Meanwhile, the hour and minute hands are made of high strength metal with a polished finish, making this clock a cool addition to any room decor. Super quiet clock movement provides accurate time display. So, what are you waiting for? Click and order right now!. Description : .Would you like to enrich your spare time? Would you like to enjoy entertainment from a mini and easy-to-operation quardcopter? You might as well have a try of this MJX Bugs 3 Two-way 2.4GHz 4CH 3D Roll RC Brushless Racing Quadcopter. This quadcopter is safe and easy for people in many age groups. Simple design with flexible size, this quadcopter is easy to control and manipulate. Carefully read the instruction before using. If you are beginner, it is advisable to be assisted by an adult.. Description : .How to enhance visibility on the rainy days, foggy days, dim light situations or in the night when youâ€™re driving? Obviously, this set of 2pcs HJ 1156 8W 700LM 6000-6500K 1 x 3D LED White Light Bulbs for Car Fog Lights (12-24V) will be a necessity for you. The car fog light set adopts the advanced 3D LED to provide you with high brightness but soft light. It supports 12-24V wide voltage to guarantee high stability. Equipped with a transparent acrylic lampshade, the light set brings stronger light permeability. The best choice to make night driving a breeze!. Description : .How to enhance visibility on the rainy days, foggy days, dim light situations or in the night when youâ€™re driving? Obviously, this HJ H8 8W 700LM 6000-6500K 1 x 3D LED White Light Bulb for Car Fog Light (12-24V) will be a necessity for you. The car fog light adopts the advanced 3D LED to provide you with high brightness but soft light. It supports 12-24V wide voltage to guarantee high stability. Equipped with a transparent acrylic lampshade, the light brings stronger light permeability. The best choice to make night driving a breeze!. Description : .How to enhance visibility on the rainy days, foggy days, dim light situations or in the night when youâ€™re driving? Obviously, this HJ H7 8W 700LM 6000-6500K 1 x 3D LED White Light Bulb for Car Fog Light (12-24V) will be a necessity for you. The car fog light adopts the advanced 3D LED to provide you with high brightness but soft light. It supports 12-24V wide voltage to guarantee high stability. Equipped with a transparent acrylic lampshade, the light brings stronger light permeability. The best choice to make night driving a breeze!. Description : .With a 0.3MP camera, the JJRC H98 with 0.3MP Camera 2.4G 6Axis 3D Flip One Key To Return CF Mode Rollover RC Quadcopter Drone takes you to explore the world in a new way. You can easily control it to rise, fall, fly forward or backward, turn left or right, and even do stunts like 3D flips and rolls. Meanwhile, it supports one-key return so the quadcopter automatically returns to and lands at the take-off location at the touch of a button, making everything even more easier. Headless mode avoids the difficulty of identifying the head and tail when you start to fly. Click and order now!. Description : .How to enhance visibility on the rainy days, foggy days, dim light situations or in the night when youâ€™re driving? Obviously, this set of 2pcs HJ H8 8W 700LM 6000-6500K 1 x 3D LED White Light Bulbs for Car Fog Lights (12-24V) will be a necessity for you. The pair of car fog lights adopts the advanced 3D LED to provide you with high brightness but soft light. It supports 12-24V wide voltage to guarantee high stability. Equipped with transparent acrylic lampshades, the light set brings stronger light permeability. The best choice to make night driving a breeze!. Description : .Enter a whole new dimension of this summer with a 3D adventure in your own backyard. Our Bestway 54114 Splash and Play Interactive Series 3D Adventure Water Slide Swimming Pool 262 x 175cm could bring your kids endless pleasure! It is made of first-rate materials, durable to use. Inflatable design makes it a room-saving item when it is not in use. Lightweight for easy storage! Just order one if you like! Dive deep into a full-immersion 3D world and join the hunt for crystal treasure!. Description : .This kind of Men and Women Travel 3D Owl PU Leather Backpack is the best choice for you to choose. It is made of high quality material, comfortable and durable in use. You will love it with its unique design and innovative style. It is perfect for people who like travel or hiking. It is great to lighten your burden with it. The backpack is lightweight and easy to use because of its ergonomically designed. The best choice for you, what are you waiting for? You will feel satisfied with it.. Description : .Are you looking for a portable and fashionable backpack? This kind of Men and Women Travel 3D Lion PU Leather Backpack is the best choice. It is made of high quality material, comfortable and durable in use. You will love it with its unique design and innovative style. It is perfect for people who like travel or hiking. It is great to lighten your burden with it. The backpack is lightweight and easy to use because of its ergonomically designed. The best choice for you, what are you waiting for? Please have a try if you are looking for backpack!. Description : .Protect your cell phoneÂ´s expensive and fragile screen from damage and scratches. Thus the screen protector is an extremely valuable protective accessory for your cell phone. And this NILLKIN 3D CP+ MAX Tempered Glass Full Coverage Film Screen Protector made of high quality material is custom-made to prevent fingerprints, dust and scratches from marking up your screen. It is easily removable without leaving marks on your phone. Use this clear and thin screen protector to keep the same look and feel of your cell phone.. Description : .Are you interested in this Pxmalionâ…£ 3D Printing Pen for Kids Imagine? It is the product which we are highly recommended to you. It will bring your art to life with this 3D stereoscopic printing pen. It replaces ink with plastic which melts at a high temperature to create a 3D object instead of just an idea on paper. Designed of lightweight and portable, it is easy for you to use it. That is a worthy purchase. What are you waiting for?. Description : .Have you been searching for a high quality 3D printing pen? Then are you interested in this Pxmalionâ…£ 3D Printing Pen for Kids Imagine? It is the product which we are highly recommended to you. It will bring your art to life with this 3D stereoscopic printing pen. It replaces ink with plastic which melts at a high temperature to create a 3D object instead of just an idea on paper. Designed of lightweight and portable, it is easy for you to use it. That is a worthy purchase. Come and order it as soon as possible!. Description : .This is Pxmalionâ…£ 3D Printing Pen for Kids Imagine. It is the product which we are highly recommended to you. It will bring your art to life with this 3D stereoscopic printing pen. It replaces ink with plastic which melts at a high temperature to create a 3D object instead of just an idea on paper. Designed of lightweight and portable, it is easy for you to use it. That is a worthy purchase. Please choose it if you are looking for a high quality one!.